Rosemary for remembrance – at least that’s what the Victorian language of flowers says. Now a small study has added weight to that folklore by showing that chemicals in the essential oils of rosemary and spearmint improve learning and memory. 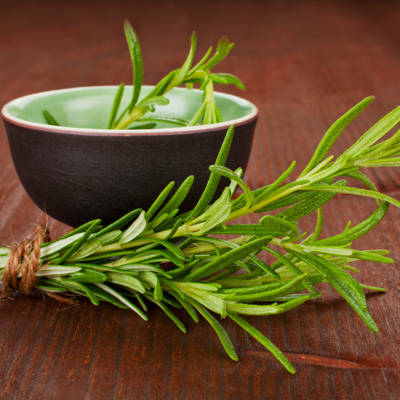 Researchers at the University of St Louis found that the higher dose of an antioxidant extract of compounds derived from rosemary was the most powerful in improving memory and learning in animals across three tested behaviours. A lower dose of rosemary extract improved memory in two of the behavioural tests, as did a compound made from spearmint extract. The research was supported by the VA Medical Center in St. Louis, MO, and was also supported by Kemin Industries, which makes specialty ingredients for vitamin and dietary supplements. That doesn’t necessarily mean the findings are suspect. Nor does it mean that you need to use specially concocted extracts to get results. Earlier this year scientists in the UK gave a group of 66 people memory tests in either a rosemary-scented room or another room with no scent.